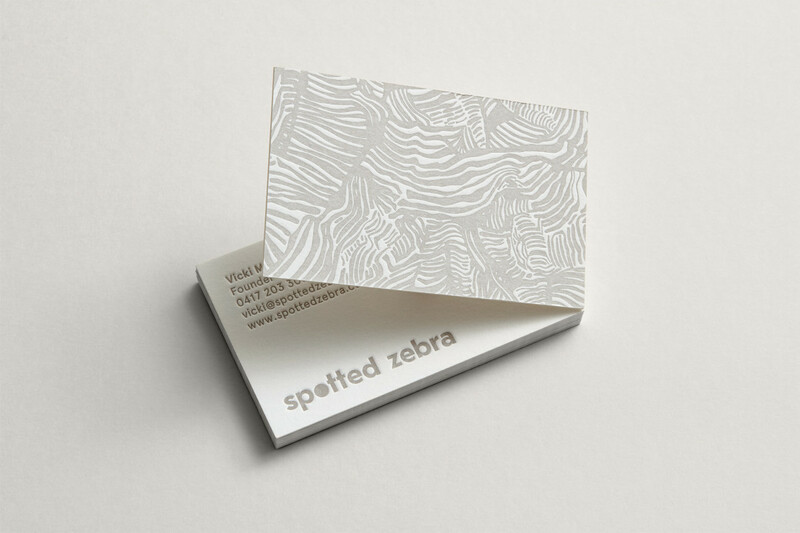 Sarah Mangion designed these business cards for Spotted Zebra, a go-to site for writing, events and media engagement needs. Spotted Zebra offers a range of how-to products for professional reference, and it’s for the busy individual seeking quick yet concise information to assist them in tasks such as organizing a product launch, writing a media release or preparing a formal speech. Sarah had some interesting ideas when creating its visual identity to represent a professional, bold and sophisticated image with a slight quirkiness. “The logo set uses a geometric typeface for sophistication, whilst the ‘spot’ connects perfectly with the name giving it that element of quirkiness. 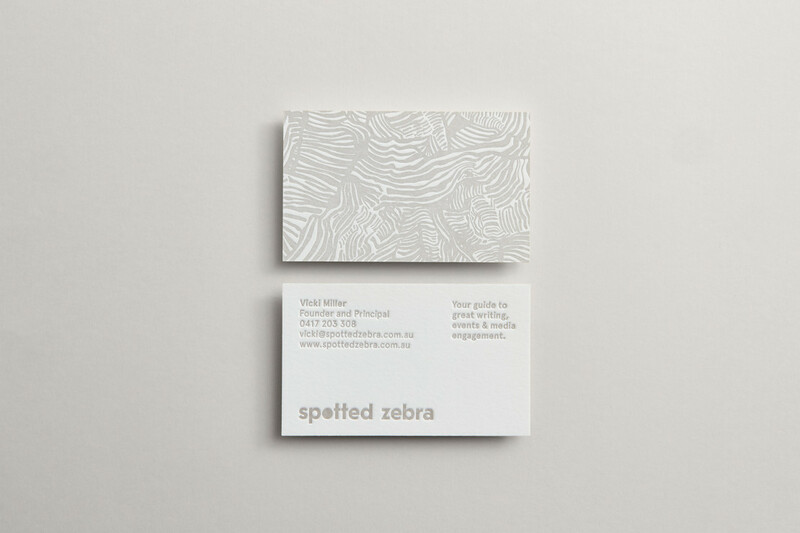 The zebra illustrations were hand-drawn for a completely custom feel,” said Sarah. These business cards were letterpress printed by The Hungry Workshop on Crane Lettra 600gsm card stock for that soft and luxurious texture!